Leading Manufacturer of throw blankets from Panipat. 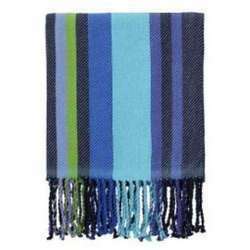 We take joy to present ourselves as the eminent manufacturer, exporter and supplier of an ideal quality Throw Blankets. Our offered blanket is accessible in different charming designs, shades and sizes. Our accomplished designer stitch this sweeping utilizing modernized innovation and preeminent quality material in adherence to industry benchmarks. Moreover, clients can benefit this blanket from us at rock bottom costs. Looking for Throw Blankets ?